AirgunWebTV 2018 (Episode 34) - Taking the Winchester Model 70-35 out into the field - And a Review!Airgun Content for All AirgunWebTV 2018 (Episode 34) - Taking the Winchester Model 70-35 out into the field - And a Review! !!! WARNING THIS VIDEO CONTAINS HUNTING FOOTAGE – IF THIS TYPE OF CONTENT OFFENDS YOU, THEN DO NOT WATCH!!! You all have been asking to see more about the Winchester Model 70-35 big bore pcp air rifle so here you go! In this episode we’ll take a look at Aaron out in the field taking some big jack rabbits with the Winchester Model 70-35. While some may think it’s overkill for these jacks, the .35 cal is really a great caliber for getting those one shot, clean, humane kills. 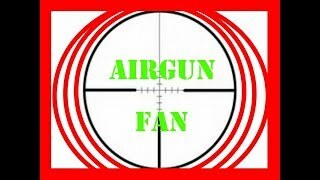 As airgun hunters, that’s what it’s about getting those clean ethical, one shot kills with our airguns. We’ll also do a quick review so you guys and gals that want some technical data get some of those details as well. Both the .35 and .45 cal Winchester rifles are frankly awesome PCP air rifles that bring a lot of great capabilities to the market under a great name, Winchester. We hope you like this video.